Philippine Twitter and Facebook feeds were flooded Tuesday with Winnie the Pooh memes in a winking expression of anti-China sentiment stirred by President Xi Jinping’s state visit to Manila. The self-described “bear of very little brain” has been used in the past on social media to poke fun at portly Xi, a joke that has drawn crackdowns from Beijing’s censors. In one clip posted Tuesday, Pooh bows before a mirror while “Hail Satan” flashes across the screen, in another he floats near an artificial island built by Beijing in the disputed South ChinaSea. “Because Winnie the Pooh is banned in China because he’s the spitting image of Xi Jinping, let’s protest his presence by posting memes and photos of him with his (lookalike),” Facebook user Wilfredo Garrido wrote. 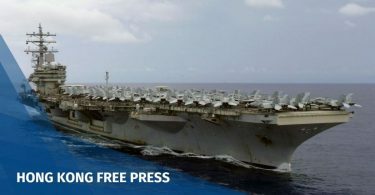 Many Filipinos resent Beijing’s claim over most of the South China Sea, which an international tribunal ruled in 2016 was without basis. The dispute led to a freeze in Beijing-Manila ties, but all that changed when Rodrigo Duterte won the presidency shortly before the judgement was handed down. CHANGE YOUR PROFILE PICTURE TO WINNIE THE POOH. He has opted to set the key ruling aside in order to pursue billions in trade and investment from China, which many Filipinos see as a frittering away of territory that is rightfully theirs. Comparisons between Xi and Pooh first emerged in 2013, after Chinese social media users began circulating a pair of pictures that placed an image of Pooh and his slender tiger friend “Tigger” beside a photograph of Xi walking with then-US President Barack Obama. In 2014, a photographed handshake between Xi and Japanese Prime Minister Shinzo Abe was matched with an image of Pooh gripping the hoof of his gloomy donkey friend Eeyore. 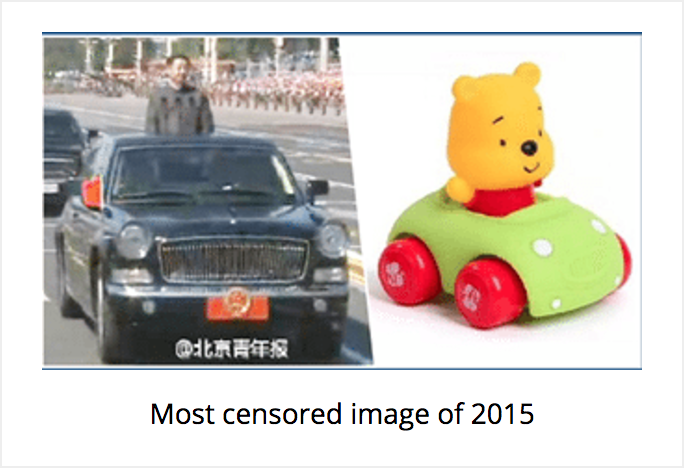 And in 2015, the political analysis portal Global Risk Insights called a picture of Xi standing up through the roof of a parade car paired with an image of a Winnie the Pooh toy car “China’s most censored photo” of the year.